Whereas last year the redesigned Impreza was launched under the WRX STI flagship model, this year Subaru revises its new, more sophisticated Impreza lineup by adding the 2.5GT to the family. Gone is the familiar 224 horsepower WRX of old, whose drivetrain the 2.5GT inherits; but this isn’t a simple case of badge replacement. In response to increased WRX buyers from new demographics (namely, more women), Subaru has created the 2.5GT as a more sophisticated version of the Impreza. Available in both four- and five-door versions, the 2.5GT comes exclusively with a four-speed automatic transmission and amenities such as the Impreza Premium and All-weather packages come standard. Indeed, this is not the stripped-out rally sedan of old. A long list of standard features leaves little to add to the 2.5GT’s price tag. Turbocharged torque gives the car plenty of much needed midrange kick that is missing from the standard 2.5i model. With only four gears to work with, the engine really has to use its power to accelerate the long gears, and high speed acceleration can leave you wishing you had another gear to work with. Certainly, some buyers will miss the option of a manual transmission. Anyone who gets images of crashy rally suspension when they hear the name Subaru will find solace in the 2.5GT’s composed, comfortable ride. Judging by the distinct lack of engine sound you’d think it underpowered, but acceleration is brisk thanks to the punch afforded by the available midrange torque, the car only really slowing down once it reaches its long fourth gear. The 2.5GT turns in keenly but has a propensity to understeer at the limit, so if you’re barreling into a corner plan on making some mid-corner corrections with either the brakes or throttle – thanks to the traction afforded by all-wheel drive, neither will upset the car. Familiar to any Subaru fan, the Impreza 2.5GT inherits its 2.5-liter turbocharged and intercooled horizontal four-cylinder engine from the outgoing Impreza WRX, which produces 224 horsepower and 226 lb-ft of torque. A four-speed automatic with manual gear selection is the only transmission available, and drives power through all four wheels. As the Impreza 2.5GT comes standard with the 2.5i model’s Premium package, a host of driver-friendly features such as a 10-speaker six-disc in-dash CD changer with auxiliary audio input, fog lights, steering wheel cruise and audio controls and power moonroof are included on the base 2.5GT. The included All-weather package adds dual-mode heated front seats, automatic climate control, a windshield wiper de-icer and heated exterior mirrors for cold winter mornings. Navigation is available as an add-on option, which includes a touch-screen in-dash GPS unit, SIRIUS satellite radio and Bluetooth hands-free phone integration. Subaru’s electronically managed Symmetrical All-wheel Drive system is able to actively manage power between the front and rear axels and distribute power to the wheels with the most available grip, a useful system for those who deal with slippery situations on a regular basis, especially when coupled with the car’s standard Vehicle Dynamics Control system. Official EPA numbers are still pending, but with no changes having been made to the powertrain since last year’s WRX, it’s a safe bet fuel economy numbers will come out similar to last year’s four-speed model, which would put the 2.5GT at 20 mpg city, 25 mpg highway. Emissions for last year’s engine were rated at LEV-II. The 2.5GT’s interior features simple, easy to use switchgear for the climate control, stereo and driver functions. The heated cloth seats are comfortable and soak up long stints with ease, and interior build quality is on par with competitors in this price range. Aside from the hood scoop which feeds the intercooler, there’s little rally car aggression about the Impreza 2.5GT, whether it be in sedan or five-door form. Other than the fog lights, 17-inch wheels, larger front brakes and a GT badge distinguish the car from a standard Impreza 2.5. Pricing has not yet been finalized, but according to Subaru the upcoming 2009 Impreza WRX will cost a hair under $25,000, and the 2.5GT will be priced slightly higher, likely due to the included options. In sedan form, the 2.5GT goes up against the Volkswagen Jetta GLI and upcoming Mitsubishi Lancer Ralliart, while the five-door has the Audi A3 and Volkswagen Jetta Sportwagen to compete with. We like that in the process of boosting the performance of the WRX, the old model hasn’t been forgotten. An automatic-only 224 hp WRX certainly has its appeal, and the strong list of standard features and forgiving suspension go hand in hand. 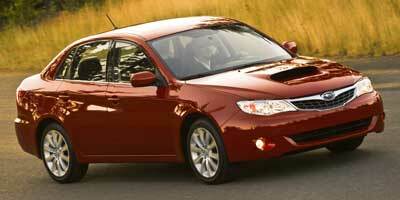 It’s most easily described as the old WRX, grown up.